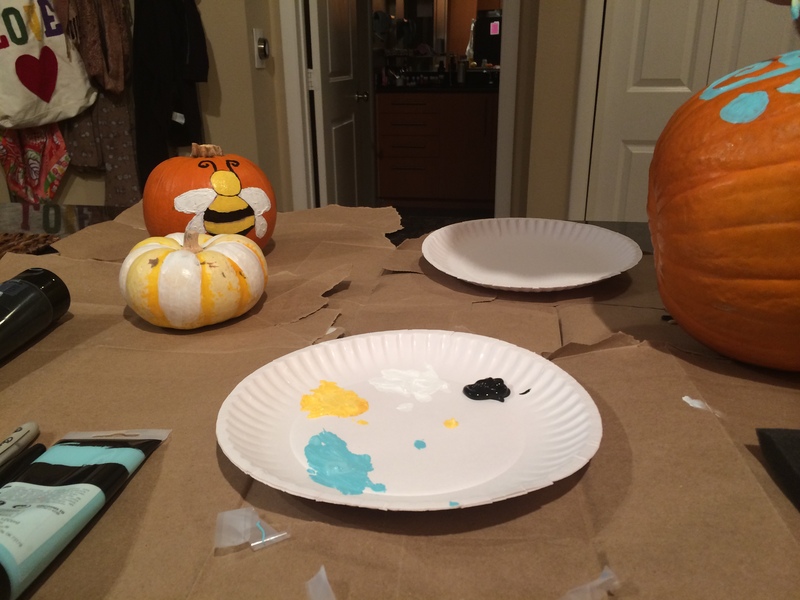 This year for Halloween, instead of carving the usual scary pumpkins, I decided it’d be a lot more fun to paint them! It was so much more fun… and honestly, a lot less messy! Also, instead of painting spooky themed pumpkins, I decided to paint something that wouldn’t need to be thrown out after Halloween… something that would be fun to have around in November. This is what we came up with… “Bee” Happy! It’s SO much fun painting pumpkins. I had no idea until I tried. I’m feeling inspired to paint more often! 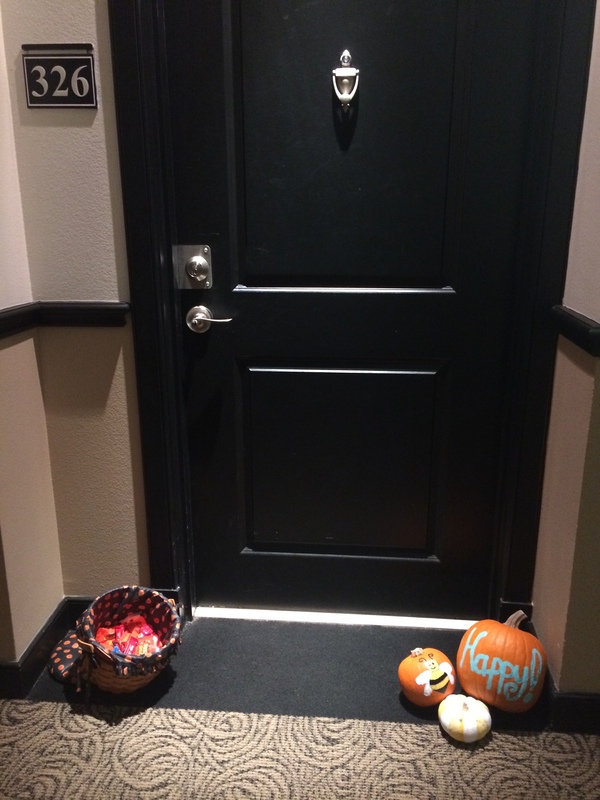 We placed them right outside my door on Halloween with a big basket of candy (I thought all the people going to bars that night would appreciate a treat on their way home, or on their way out for that matter!) I was so excited to see if anyone actually took the candy! I think the candy was a hit, but apparently so were my pumpkins. Somebody took one of them that night, which I thought was just plain rude. Bottom line, I got an early lesson on being grateful for what I have, giving thanks, and not worrying. :) AND I had a blast making them. What’s your favorite thing to do with pumpkins for Halloween? Shine A Little Brighter, My Darlings.